The Trustees hold the responsibility to restore the natural resources injured by the release of PCBs. They are tasked under federal law (CERCLA) to assess injuries to natural resources, recover damages and seek to restore the injured resources to the baseline condition that existed prior to the release of the hazardous substance. The trustees must provide evidence to demonstrate that the injury to the natural resource or the public’s ability to use that resource has been caused by the PCBs. 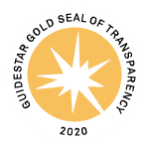 The Trustees follow the Federal Regulations for Natural Resource Damages Assessments (43 CFR Part 11) to guide this process. The Trustees have recently expressed concerns that the Phase 2 cleanup as planned, in certain areas, may not be sufficient to ultimately provide for restoration of the River in those areas. 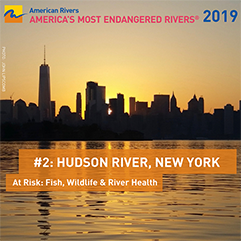 The Hudson River Natural Resource Damage Assessment (NRDA) evaluates the environmental damage and injuries associated with the GE PCB contamination of the Hudson River. The NRDA will assess the damages that may be compensated, whether monetarily or through restoration projects, by GE. An investigation testing and analyzing emerging adult aquatic insects for PCBs and confirming the PCB contaminant pathway from the sediments, up the food chain, into tree swallows. An evaluation of water samplings tested for PCBs determining whether PCBs have injured the surface water of the Hudson River. It concludes that the Hudson River from Hudson Falls to the Battery in Manhattan is an injured resource. An investigation of Bullfrog tadpoles and sediment samples analyzed for PCBs confirming the exposure of amphibians to PCBs. An investigation analyzing bats for PCBs that demonstrate PCB exposure. The confirmation of the adverse effects of PCB exposure on mink and determination of Trustees to further investigation in 2006. An investigation planned to determine whether Hudson River waterfowl have been injured by PCBs. A plan for preliminary investigations for frogs and sediments, which will be used in order to determine whether a full-scale study of the effect of PCBs in the Hudson River on amphibians will be conducted. An investigation planned to evaluate effects of PCB exposure on birds that will help the Trustees create plans to restore the injured natural resources. An investigation planned in 2008 to determine the toxicity of PCB-contaminated sediments to sediment-dwelling organisms. An investigation planned for 2001 that would determine the biological impacts of the PCB contamination on fish species. Preliminary investigations set to help select birds for future study, analyze bird eggs for contaminant, determine location of nesting and feeding of Hudson River birds, and monitor bald eagle nests.